Sherlock, the TV series, is one of the many adaptations of Sir Arthur Conan Doyle’s Sherlock Holmes. It stars Benedict Cumberbatch as Sherlock Holmes and Martin Freeman as Dr. John Watson. The crime drama TV series started in 2010 and continues to air until 2017. Sherlock is set in the modern age. However, there was one episode aired on January 1 with a special feature that showed the original Victorian period of Sherlock Holmes. The TV series is critically acclaimed and have received a lot of nominations and awards from the Golden Globe, Emmys, and BAFTA. Sherlock won awards for their outstanding writing and even the best lead actor and supporting actor. 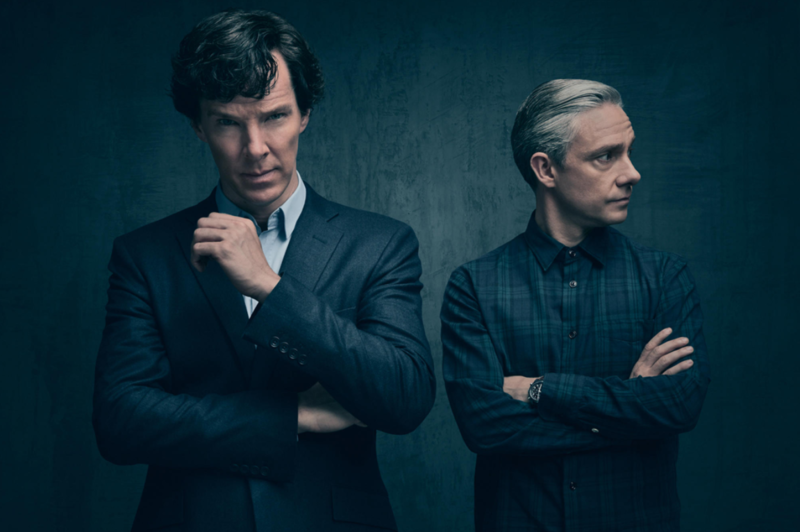 Sherlock became so popular that the third series became the most watched drama series in the UK. It is currently being watched in 180 territories. The story of Sherlock, the TV series, revolves around the life of the “consulting detective” as he solves different cases and mysteries all over London. He is often times assisted by Dr. John Watson, a good friend and flatmate. In this series, Dr. Watson just returned from being deployed in Afghanistan where he served with the Royal Army Medical Corps. The two work together with the Metropolitan Police Service Detective Inspector Greg Lestrade. Although most of the local officers were suspicious of Holmes, they soon saw how valuable he is because of his intellectual prowess and keen sense of observation. Staying true to the role of Dr. Watson as narrator, the TV series portray Sherlock’s friend as a blogger who documents their journey and adventures online. This made Sherlock somewhat of a celebrity. The press are constantly onto him – reporting his various exploits and keeping tabs on his personal life. The cases and mysteries being solved are not entirely the focal point in the series. It is still the recurring conflict of Sherlock with his nemesis, Jim Moriarty. Sherlock Holmes played by Benedict Cumberbatch. There was a lot of hype on the casting of Benedict Cumberbatch to play the iconic role of the detective. He is perfect to play the part because he can portray characters that are odd, brilliant, cold, and even techie. That is how he represents the character of Holmes. It is just about right because Holmes is like a modern day superhero in Sherlock the TV series. Dr. John Watson played by Martin Freeman. Whoever will portray Watson should have a good chemistry with Holmes and Freeman was the perfect fit. In the series, Dr. Watson was portrayed strongly – not as inferior to Holmes. After all, he should be able to effectively keep Sherlock morally grounded. DI Greg Lestrade played by Rupert Graves. Inspector Lestrade may be frustrated by the character of Holmes – but he is nevertheless in awe of his talent. 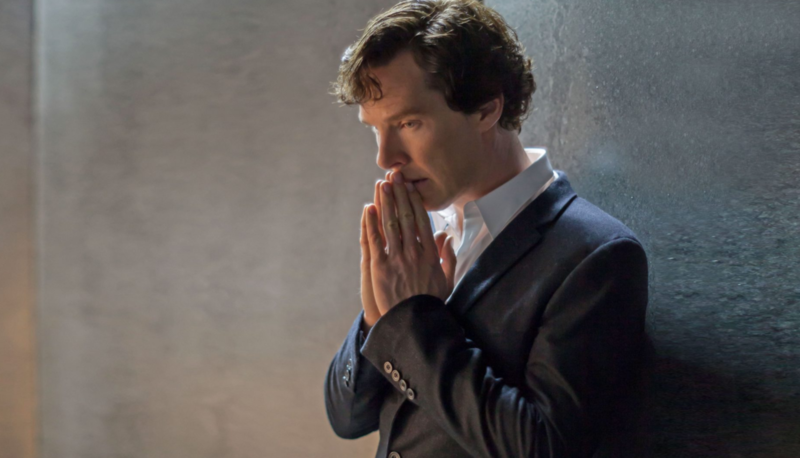 In return, Sherlock looks to him as the best person among those in the Scotland Yard. Jim Moriarty played by Andrew Scott. He portrays the character in a posh but very frightening way – which is just what the storyline dictates. He adds a bit of dullness to the character that perfectly compliments the portrayal of Holmes in the TV series. There are other recurring roles that are similar to those in the original story but these are the main characters in the Sherlock the TV series.